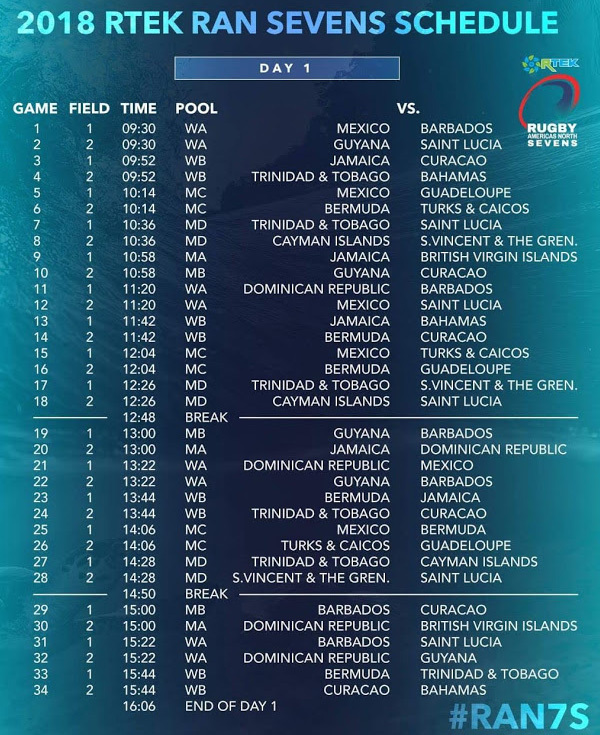 The Trinidad & Tobago Senior Men’s and Women’s National Rugby Sevens Teams fly to Barbados on Friday, September 21, 2018, to compete in the 2018 Rugby Americas North (RAN) Seven-A-Side Tournament on Saturday, September 22, 2018 and Sunday, September 23, 2018, at Bellevue Plantation & Polo Club, Waterford, St. Michael, Barbados. The National Teams which have been training very hard over the past month, will be looking to win both titles and re-establish this country as the premium Seven-A-Side Team in the region. Both Managers, Curtis Nero (Men) and Jenilee Limada (Women) indicated that the task, though tough, is achievable and the players are pumped and eager for the challenge. Senior Men’s Coach, Larry Mendez, says that the team is a relatively mature outfit who can appreciate what it takes to compete and win at this level. Carlton Felix, Coach of the Senior Women’s Team indicated that the players are excited and looking forward to the tournament. He went on the say that even though the team is structured differently than previous occasions, the athletes selected have the experience and ability to go all the way. 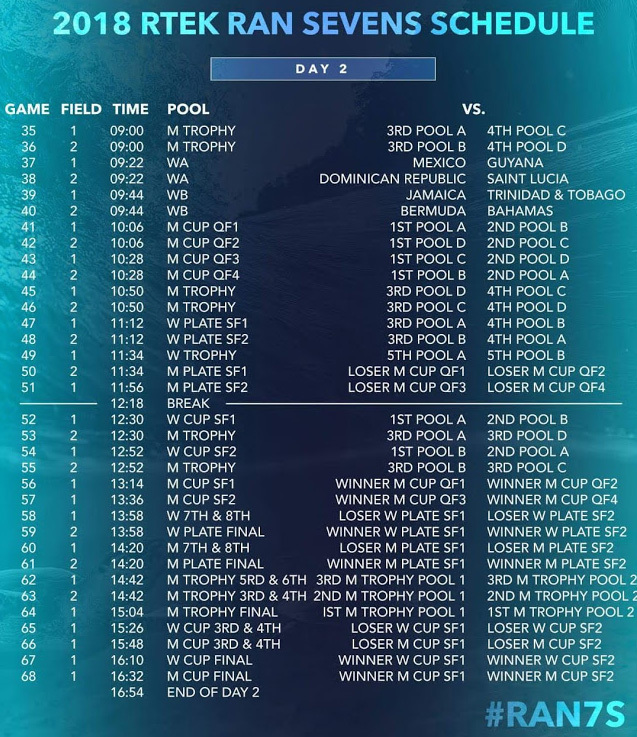 This tournament also serves as a qualifier for the PanAm Games and the Hong Kong Sevens in 2019, which should serve as additional incentive to the teams to perform well. President, Colin Peters, says that again, the Trinidad & Tobago Rugby Football Union (TTRFU) has to thank The Sport Company of Trinidad & Tobago (SporTT) and by extension, the Ministry of Sport & Youth Affairs (MSYA), as without their support, Trinidad & Tobago may have had to forgo participation in this tournament. We enclose herewith the Fixtures Schedule for the 2018 RAN 7s Tournament. All matches will be streamed live on RAN’s YouTube Channel. Fans can also follow updates using the hashtag #RAN7s on Facebook and Twitter.